Australia is resisting a last-ditch push by the US, France and other European countries for G20 leaders at next week’s meeting in Brisbane to back contributions to the Green Climate Fund. The prime minister has previously rejected the fund as a “Bob Brown bank on an international scale” – referring to the former leader of the Australian Greens. The Green Climate Fund aims to help poorer countries cut their emissions and prepare for the impact of climate change, and is seen as critical to securing developing-nation support for a successful deal on reducing emissions at the United Nations meeting in Paris next year. The US and European Union nations are also lobbying for G20 leaders to promise that post-2020 greenhouse emission reduction targets will be unveiled early, to improve the chances of a deal in Paris, but Australia is also understood to be resisting this. As reported by Guardian Australia, Australia has reluctantly conceded the final G20 communique should include climate change as a single paragraph, acknowledging that it should be addressed by UN processes. 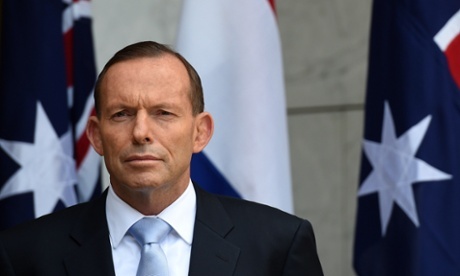 Australia’s original position was that the meeting should focus solely on “economic issues”. Australia had previously insisted the G20 should discuss climate-related issues only as part of its deliberations on energy efficiency, but the energy efficiency action plan to be agreed at the meeting, revealed by Guardian Australia, does not require G20 leaders to commit to any actual action. Instead it asks them to “consider” making promises next year to reduce the energy used by smartphones and computers and to develop tougher standards for car emissions. But as the negotiations on the G20 communique reach their final stages, European nations and the US continue to argue strongly that leaders should back the need for contributions to the Green Climate Fund. More than $2.8bn has been pledged to the fund so far – including $1bn by France and almost $1bn by Germany. More pledges are expected at a special conference in Berlin on 20 November. The UK has said it will make a “strong” contribution at that meeting. It is understood the Department of Foreign Affairs and Trade, which leads Australia’s negotiating position, is considering whether Australia should make a pledge. Asked about the fund before last year’s UN meeting, the prime minister said “we’re not going to be making any contributions to that”. It was reported that at one of its first cabinet meetings the Abbott government decided it would make no contributions to a fund that was described as “socialism masquerading as environmentalism”. The government also pointedly dissented from support for the fund in a communique from last November’s Commonwealth Heads of Government meeting – a stance backed by Canada. Reading opinion columns from Australian prime minister Tony Abbott’s top business adviser Maurice Newman reminds me of those fairground whack-a-mole games. You smash those cartoonish mammals over their fibreglass heads with a big rubber hammer as they emerge from little round holes, yet these little subterranean mammals never know they’re beat and just come up with the same grin somewhere else. In this climate denialist version of whack-a-mole, the mammal is replaced with Newman’s upper torso clutching the latest truthy climate factoid he has plucked indiscriminately from the intertubes. Just like at the fairground, when you whack-a-Maurice, he just keeps popping up with another myth. The latest version of whack-a-Maurice comes in his new opinion column in The Australian newspaper, headlined “Inconvenient truths ignored by the climate propaganda machine”. In the article, Newman attacks renewable energy, the IPCC, Australian Greens leader Christine Milne and climate science in general while telling us that coal is cheap and reliable and that we should put our self-interest in selling that coal above all else. Newman misrepresents the latest IPCC study, misquotes experts, pushes debunked studies, claims the Scottish Government commissioned a report that it likely never actually commissioned and rounds off by putting his faith in an internet poll that was gamed by climate sceptics. So join me for a game of Whack-a-Maurice®. In the article, Newman starts with three statements about energy prices and how renewable energy projects apparently “destroy jobs” and have been terribly bad news for places that have embraced progressive policies to encourage renewable energy. Clearly [Greens Leader Christine] Milne is unaware of the cost to California, Europe and Britain of their ultra green embrace. The Golden State’s energy prices are 40 per cent above the US national average, plunging its manufacturing and agricultural regions into depression, with one in five living in poverty. OK. While it’s true that Californians do have comparatively expensive electricity costs, they actually have among the lowest average electricity bills across the whole of the United States. This appears due to a combination of the state’s mild climate and its aggressive energy efficiency scheme. California does have a renewable energy target – recently expanded to push the state to get 33 per cent of its power from renewables by 2020. The Lawrence Berkley National Laboratory in the US has studied the impact of renewable target schemes (known there as Renewable Portfolio Standards) in place across the US. The 2007 Berkeley study (carried out before California upped its target) found these RPS schemes added an average of about 38c per month (about one quarter the cost of one take away coffee) to electricity bills. California’s scheme was among those having the lowest impact on bills. In 2012, Californian’s had an electricity bill of about $87 per month. Apparently, in Newman’s razor sharp climate policy mind, it is imposts like a 38c per month rise in electricity prices that is “plunging” the state’s agriculture industry into depression, rather than, say, one of California’s worst droughts in living memory. Newman is referring to a report titled: “Study of the effects on employment of public aid to renewable energy sources” that was published in 2009 and written by Gabriel Calzada Alvarez. Alvarez is an associate professor at King Juan Carlos University, but Newman doesn’t mention that the study was actually co-commissioned by the “libertarian” think tank The Instituto Juan de Maria that Alvarez founded. Alvarez has also presented at a Heartland Institute climate conference for “sceptics” and his institute has been a sponsor of one of those conferences. Who were the other commissioning group? This was the Institute for Energy Research, a US-based thinktank with strong links to the US Koch brothers, whose foundations have given about $175,000 to the think tank and funnelled millions into anti-climate action projects at similar think tanks. The IER recently claimed Alvarez’s study as its own. But was the study any good? Additionally, this analysis has oversimplifications and assumptions that lead to questions regarding its quantitative results. Finally, the authors fail to justify their implication that because of the jobs comparison, subsidies for renewables are not worthwhile. This ignores an array of benefits besides employment creation that flow from government investment in renewable energy technologies. The Alvarez study came in for similar harsh criticism in Spain, as noted here on a blog from the US Natural Resources Defense Council. Verso Economics? Commissioned by the Scottish government? Sounds impressive. Indeed, when the report was published in March 2011, it was given extensive coverage in Scotland. And what did the Scottish government make of the study? A BBC report tells us the government’s view. Does it seem odd that the Scottish government should condemn it’s own report? 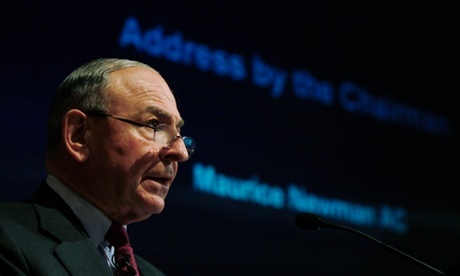 Perhaps one reason is that there appears to be no evidence that the Scottish government actually commissioned the report that Maurice Newman says it commissioned (I have asked the author, an economist called Richard Marsh, for clarification, but the report itself makes no mention of a commission from the Government and, when Marsh gave evidence to a Scottish parliamentary committee the following year in relation to the report, he didn’t mention a government commission then either). Verso Economics appears to have been a very small firm with only two employees, Marsh being one of them. This doesn’t necessarily make the arguments wrong, but it is curious that Newman would choose to use the name of a tiny consultancy once based in Kirkaldy that no loner exists (Marsh is now at another firm). Newman has a crack at former Australian chief scientist Penny Sackett who, according to Newman, had said in 2009 we had only five years to avoid “dangerous global warming”. Plainly if you read Sackett’s words from 2009, she was talking about a time frame to start radically reducing emissions to prevent “dangerous global warming” down the track and not, as Newman implies, a time by which we should all be frying in our own juices. When climate commissioner Tim Flannery said that “even the rain that falls isn’t actually going to fill our dams and river systems”, it was sobering, but soon we were donating to flood victims and -suspected he’d dreamt it up to scare us. Again, Newman ignores the fact that Flannery was not talking about the present, but referring to a time decades into the future if emissions remained on their current path. Newman claims that “temperatures have gone nowhere for 18 years” while ignoring that in those 18 years the world has experienced the hottest decade on record. According to the World Meteorological Organisation, 13 of the 14 warmest years on record have all occurred since 2000. If Newman thinks warming has stopped, why is it that between 2002 and 2011, the two main ice sheets of Antarctica and Greenland were melting at a rate of about 362 billion tonnes of ice a year – an almost six-fold increase in the rate for the previous decade? Newman keeps popping up like our proverbial mole with a litany of myths. He says the recent IPCC Synthesis Report “fails to mention” that the extent of Antarctic sea ice is the highest since records began. The reason it fails to mention this, is that the record was broken well after the underlying reports were finished. But yet, the Synthesis Report does mention the increase in Antarctic sea ice extent (read my post What’s going on with global warming and Antarctica’s growing sea ice? for more on this). Newman wants us to think that the IPCC authors are a bunch of doom merchants, and so ignores the fact that the IPCC report makes a range of projections for the future concentration of carbon dioxide in the atmosphere. As well as the admittedly “bleak” scenario of CO2 levels reaching 1000 parts per million in the atmosphere by the end of this century (delivering something like 4C of global warming), the report also projects CO2 levels at 720ppm, 580ppm, 530ppm and 480ppm. Newman would have struggled to have missed this, given they all appear on the same chart. We could go on an on whacking Maurice Newman’s climate denialist moles, and his column has several others, but at some point we have to stop. 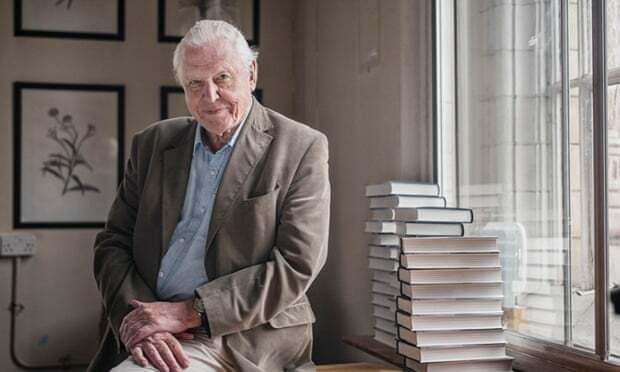 But not before we dwell on Newman’s closing argument that 91 per cent of people think the IPCC is wrong that we’re heading for 4C of global warming. I think you’ll agree that Newman’s source for this is beyond reproach. It’s one of those really sciencey internet polls carried out by the ABC. So sciencey was the survey, that climate science denialist groups from Australia to the US were telling supporters to visit the poll. This is when we have to remind ourselves that Maurice Newman is the chairman of prime minister Tony Abbott’s Business Advisory Council, handpicked by Abbott himself. As Maurice Newman himself concluded, “Enough said”. 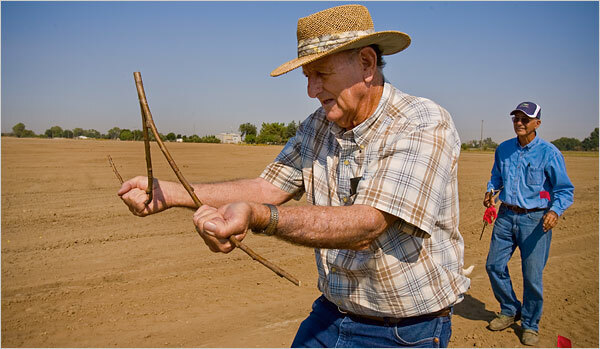 The incoming leader of our top scientific research organisation is promoting water-dowsing to Australian farmers. The CSIRO has a new leader, Dr. Larry Marshall, who will take the reins in 2014-12. Currently the managing director of the California-based Southern Cross Venture Partners, an outfit specialising in creating and growing Australian technology companies, Dr Marshall holds a doctorate in physics from Macquarie University. He has 20 patents to his name and has co-founded six companies. 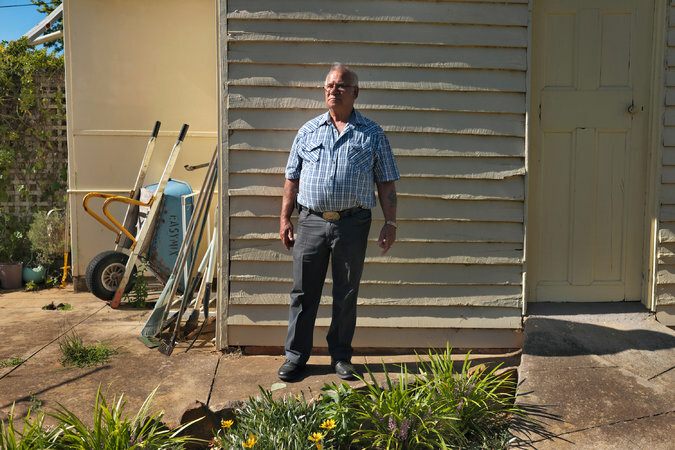 The 52-year-old, who admits he hasn’t applied for a job in 25 years, suspects it was this combination of science and business that got him the CSIRO’s top job following a competitive global search. “I started as a scientist, became an entrepreneur and learnt a lot about business the hard way,” he said. Innovation Minister Ian Macfarlane, whose portfolio takes in science, welcomed Dr Marshall’s appointment. Highlighting his commercial background, Mr Macfarlane said Dr Marshall’s arrival came at a time when the agency was embarking on a “significant new phase” in which the CSIRO would play an increasingly important role in the economy. This included strengthening links between business and science, he said. The leader of CSIRO is chiefly welcomed by Australia’s Innovation Minister? What about our Science Minister? Oh that’s right, Australia’s current government has scrapped the ministry for science. Instead, our Prime Minister has appointed himself the head of a Science Council, with no minister responsible for science — and CSIRO left to the mercies of the “industry” portfolio. So our federal government’s appointed head of CSIRO, Larry Marshall, himself seems to place much more emphasis on what is financially profitable than what is scientifically sound. He’s not been working as a scientist for a very long time; the past 25 years was spent as a venture capitalist. And now, on the basis that charlatans can fool him, he wants to use his new position as head of CSIRO to fund research for water dowsing. He’d like to see the development of technology that would make it easier for farmers to dowse or divine for water on their properties. “I’ve seen people do this with close to 80 per cent accuracy and I’ve no idea how they do it,” he said. Dr Marshall believes the CSIRO can ‘push the envelope’ with such projects and contribute to improving agricultural productivity. In an age when all of climate science shows that we are in for, among other catastrophic results, devastating drought unless we act now to reverse our damaging activities, Australia’s leading government science body will spend its precious attention on pseudoscience and fakery. We are under the rule of one of the worst governments in Australian history, in terms of the scientific soundness of policy. Summary: Australia’s hottest year on record in 2013 along with the accompanying droughts, heat waves and record-breaking seasons of that year was virtually impossible without the influence of human-caused global warming, scientists say. The impacts of man-made climate change were felt in Australia during its hottest year on record in 2013. Credit: UNSW, P3, Helena Brusic. Australia’s hottest year on record in 2013 along with the accompanying droughts, heat waves and record-breaking seasons of that year was virtually impossible without the influence of human-caused global warming. New research from ARC Centre of Excellence for Climate System Science (ARCCSS) researchers and colleagues, over five different Australian papers in a special edition of the Bulletin of the American Meteorological Society (BAMS), has highlighted the powerful influence of global warming on Australia’s climate. “We often talk about the fingerprint of human-caused climate change when we look at extreme weather patterns,” said Prof David Karoly, an ARCCSS researcher with the University of Melbourne. In 2013, heat records fell like dominoes. Australia had its hottest day on record, its hottest month on record, its hottest summer on record, its hottest spring on record and then rounded it off with the hottest year on record. According to the research papers presented in BAMS, the impact of climate change significantly increased the chances of record heat events in 2013. Looking back over the observational record the researchers found global warming over Australia (see attached graphic): doubled the chance of the most intense heat waves, tripled the likelihood of heatwave events, made extreme summer temperature across Australia five time more likely increased the chance of hot dry drought-like conditions seven times made hot spring temperatures across Australia 30 times more likely. But perhaps most importantly, it showed the record hot year of 2013 across Australia was virtually impossible without the influence of human-caused global warming. At its most conservative, the science showed the heat of 2013 was made 2000 times more likely by global warming. “When it comes to what helped cause our hottest year on record, human-caused climate change is no longer a prime suspect, it is the guilty party,” said ARCCSS Australian National University researcher Dr Sophie Lewis. The extreme year of 2013 is just the latest peak in a trend over the observational record that has seen increasing bushfire days, the record-breaking warming of oceans around Australia, the movement of tropical species into temperate zones and the shifting of rain bearing storm tracks further south and away from some of our most important agricultural zones. “The most striking aspect of the extreme heat of 2013 and its impacts is that this is only at the very beginning of the time when we are expected to experience the first impacts of human-caused climate change,” said Dr Sarah Perkins an ARCCSS researcher with the University of New South Wales. A seca no Sudeste brasileiro pegou muita gente de calça curta no país da enxurrada. Mas no continente mais seco do mundo, a noção de que é preciso gerir a água para o futuro é realidade há décadas. Na cidade australiana de Perth – onde a vazão para os reservatórios caiu pela metade desde os anos 1970 –, o pilar de longo prazo da política hídrica é a dessalinização, que responde por metade do consumo de 1,8 milhão de habitantes. O outro grande esforço em marcha é o de reciclar. Um programa de tratamento de “águas residuais” – que vão pelo ralo após o uso em chuveiros, pias e máquinas de lavar – e sua reintrodução no aquífero recebeu luz verde em 2013. No início de março passado, a Water Corporation, empresa que abastece Perth, informou que 3,5 bilhões de litros de água altamente tratada e purificada foram reinjetados nos aquíferos mais profundos da região, onde ficará estocada para uso futuro. O plano é reciclar e reinjetar 7 bilhões de litros por ano, com possibilidade de expansão para 28 bilhões de litros. O processo envolve ultrafiltragem, osmose reversa e exposição a raios ultravioleta. A reinjeção é necessária para que a população, que prefere um processo “natural” de filtragem, aceite beber água que já foi usada e descartada. Um porta-voz da Water Corporation informou que a expectativa é de que 1 litro de água reciclada custe “um pouco menos” do que 1 litro de água dessalinizada. Ambientalistas aguerridos contestam as boas intenções da empresa – segundo eles, seria mais barato tornar obrigatório que novas residências captem água da chuva e disponham de seu próprio sistema de reciclagem. A reciclagem, segundo a Water Corp, tem potencial para responder por até 20% do consumo de Perth em 2060.